I know how much that looks like dog food, but hear me out. 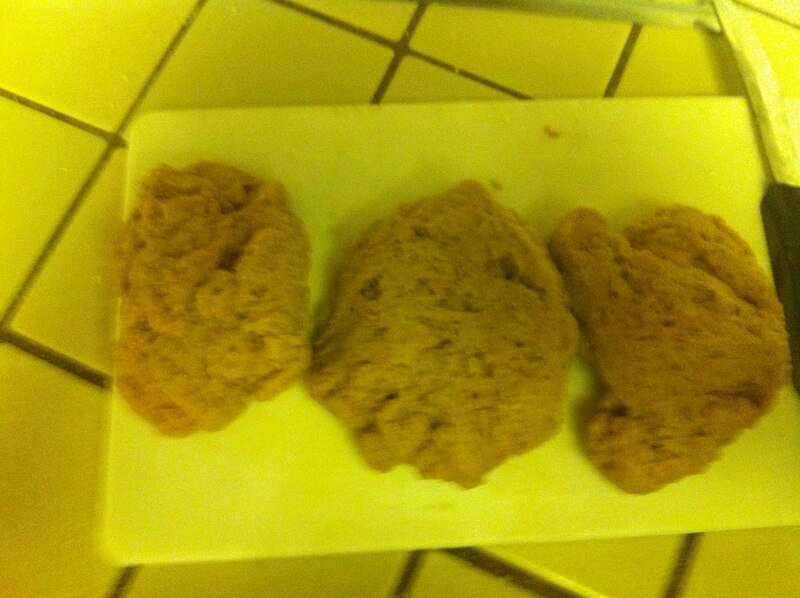 Seitan is wheat gluten protein, and has a ton more protein than tofu does. 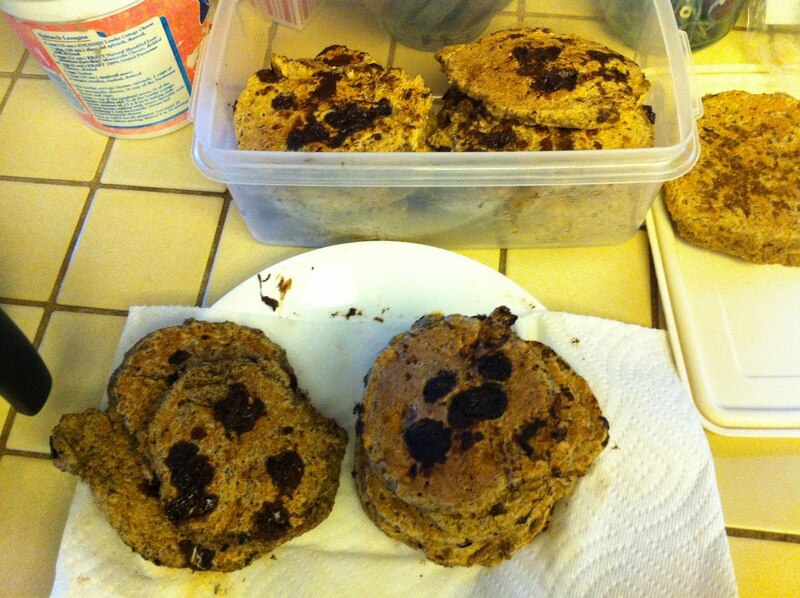 In the entire batch that I'll show you in a second, there was over 140 grams of protein. That's a LOT! I like seitan because it has more of a thick texture than tofu does, and can be paired with almost anything. 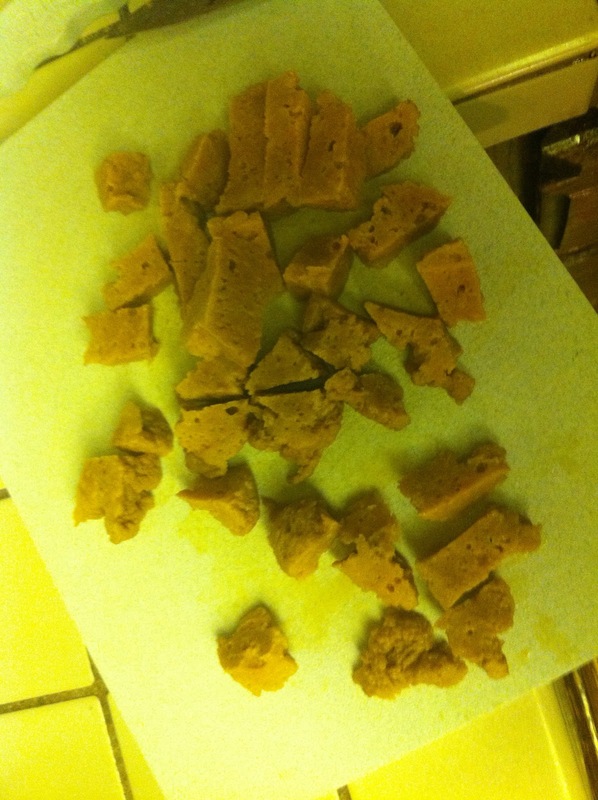 I also wanted to try and make this, since a full block of 120 grams if about $5. I'll calculate how much this was later. Since I'm working a lot, I figured I could make this so I have some extra protein to eat this week. 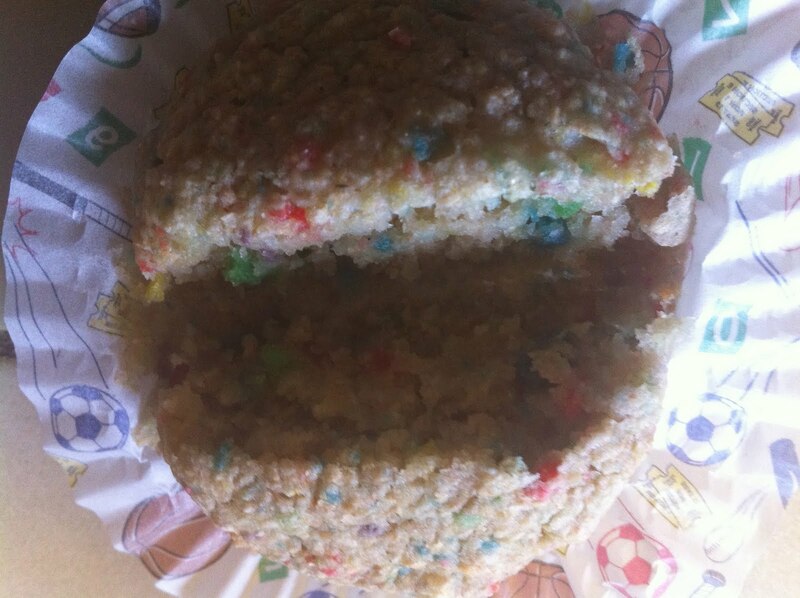 I took the recipe from here, but I modified it slightly. 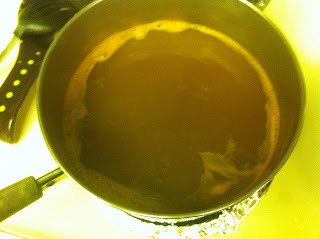 -bring the 4 cups of vegetable broth and water and soy sauce to a boil. 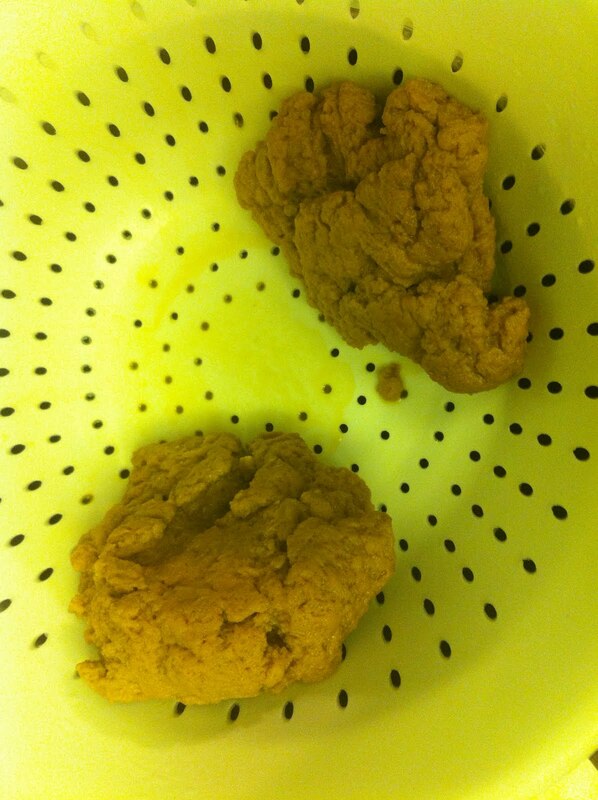 -in a large bowl place the flour, the nutritional yeast, and the spices. 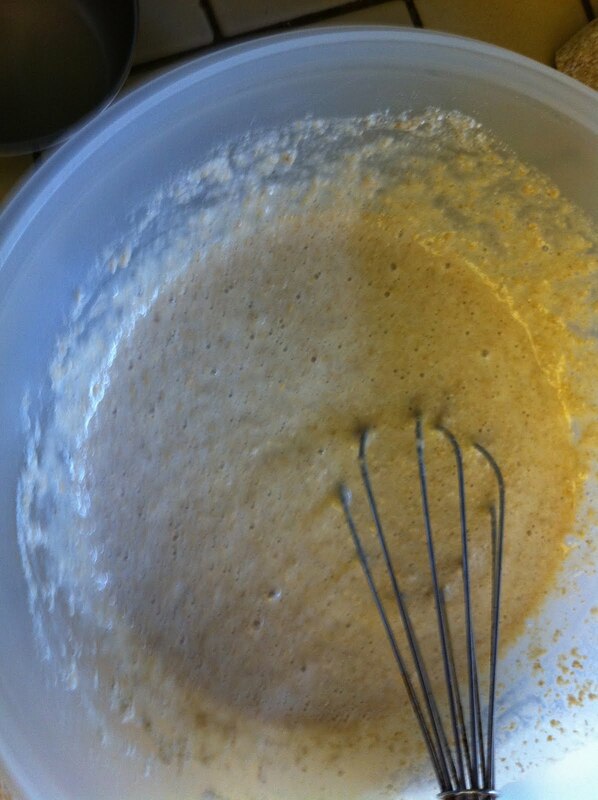 Give a quick whisk or mix. 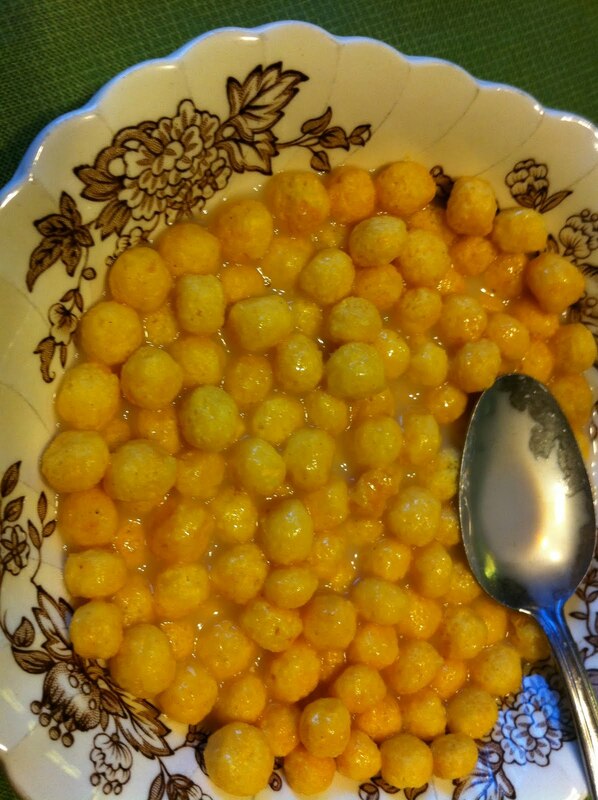 -place all the wet into another bowl, and mix it. 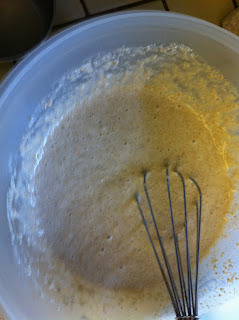 -break the dough into three sections, or however many as you want. 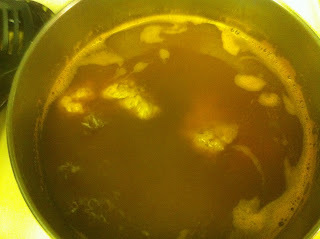 -place the odd dough balls into the simmering broth, and cover almost all the way. Let them sit for 45 minutes, turning every once in awhile. -After those 45 minutes turn the heat off, and let the dough sit for 15 minutes, or take it out and let it sit in a colander. I paired it with some zucchini for lunch today, just to add some vegetables into the mix. So delicious and so easy! Yum! 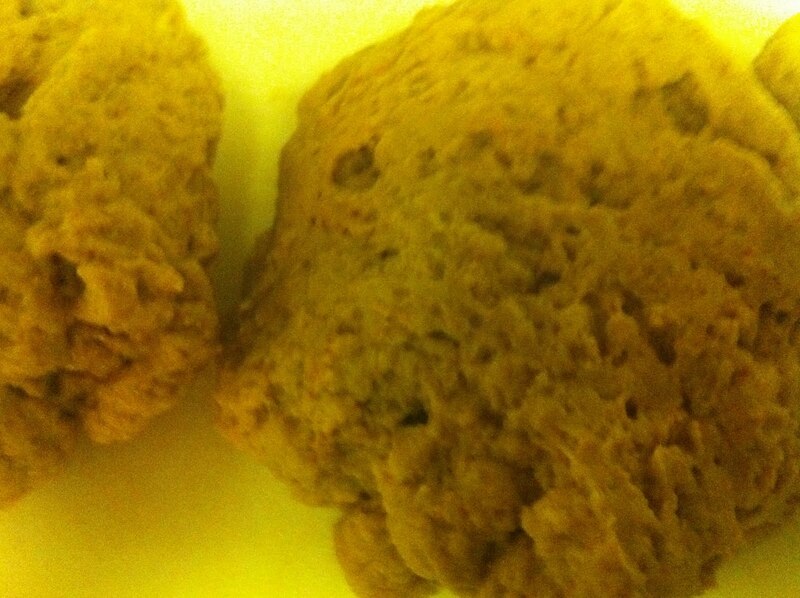 I think next time I'll add some more spices, or some vegetables into the actual dough. 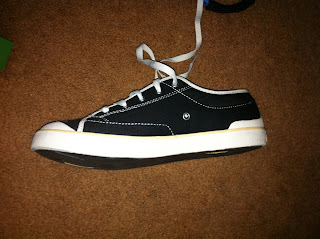 As for shoes, I knew that I needed walking shoes for Manhattan in a month (A MONTH! ), and that my beautiful toms wouldn't cut it. After searching for over an hour with my sisters (thanks!) we stumbled upon a brand called Simple. They make vegan friendly shoes, and also non-vegan friendly shoes. 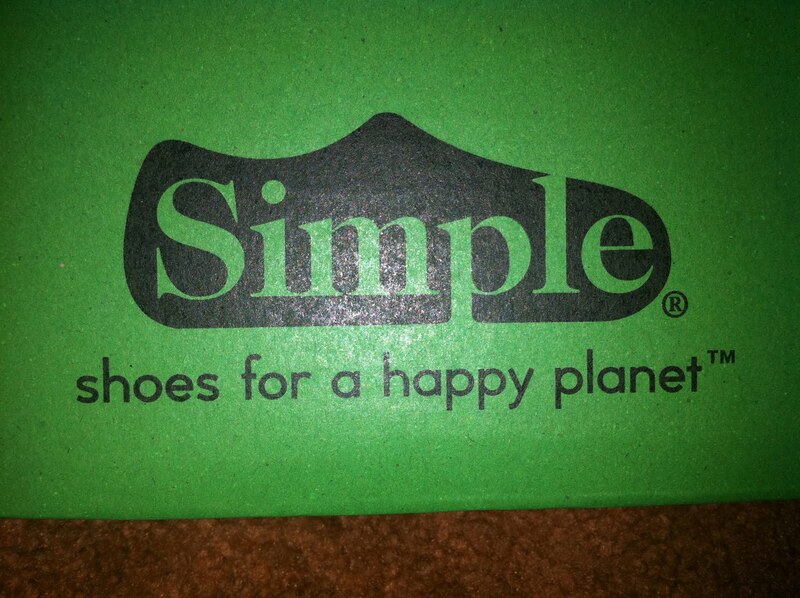 Even though their non-vegan friendly shoes have leather, they still strive for environmentally friendly shoes. Their leather only comes from places where they care about the environment. They are way more durable than my toms, and are actually pretty cute. 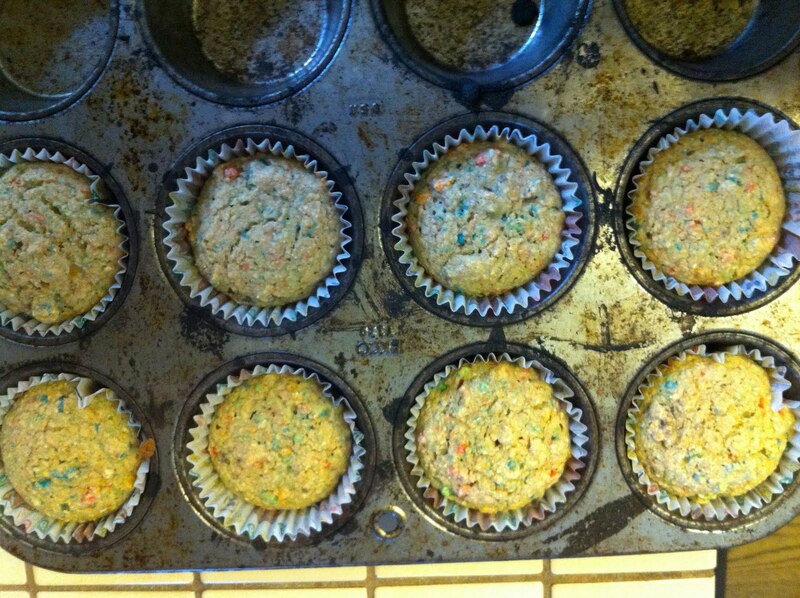 Of course they are the vegan friendly kind, since I have to stay true to my colors. They were also on sale at the place I got them, for 20% off. Cheap shoes! 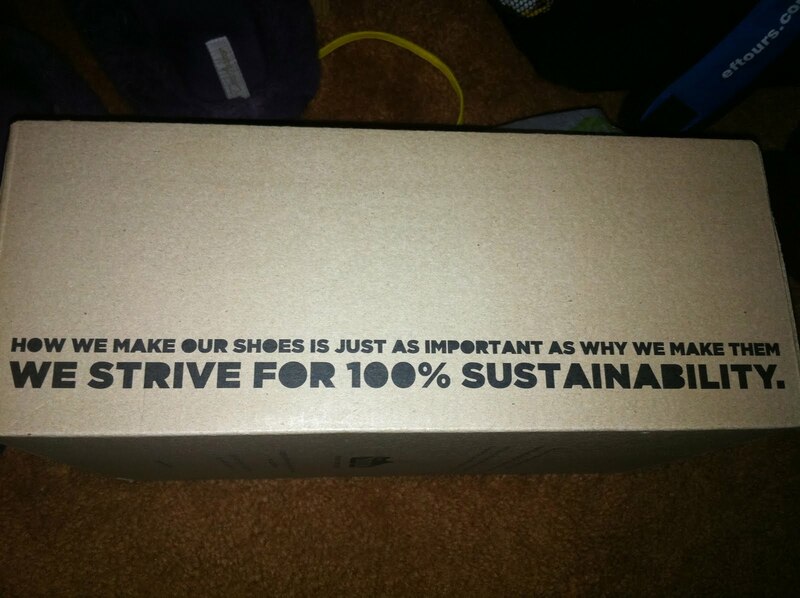 The lid of the shoe box says it all: "How we make our shoes is just as important as why we make them. 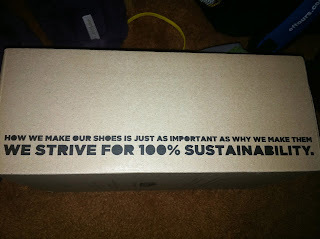 We strive for 100% sustainability." Go check these out!! If the shoes I bought feel awesome, and still look good in 2 weeks, I'm going to buy a second pair and ship it to my dorm. My friend Emily came over last night to cook again. I had planned on making cauliflower mashed potatoes, but after some garlic overload, we basically ate some delicious farro. farro is a high protein grain, sort of a mix between orzo and quinoa. Delicious! 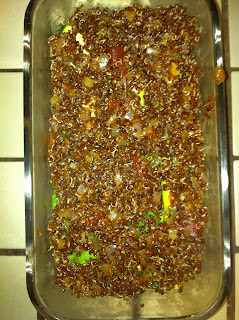 -if you can, soak farro overnight in water. If not, skip to step two. 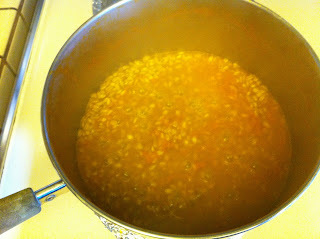 -combine farro and vegetable broth in a big pan, and bring to a boil. Once it's boiling, lower heat until it is simmering, and cook for 20 minutes COVERED. 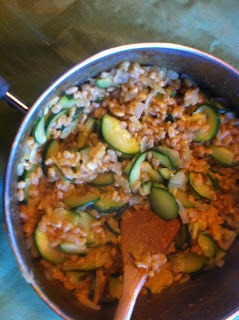 -stir fry cut up zucchini's and onion together, then when farro is cooked, add the vegetables to it. Add any spices you desire. this recipe is super super super easy, but so delicious. Yum! 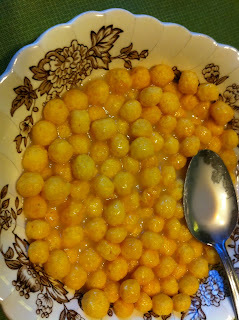 Neither of us wanted to make dessert, so we just ate some gluten free peanut butter cereal. My favorite! Today I went to work at 6:15, to meet up with my friend to set up a zip-line for the kids in the camp. Since she was coming so early, I made some chocolate chip pancakes for her. I'm off to sleep, since I have to be in Berkeley by 7 AM tomorrow to set up another zip-line. I hope to take a pictures soon! 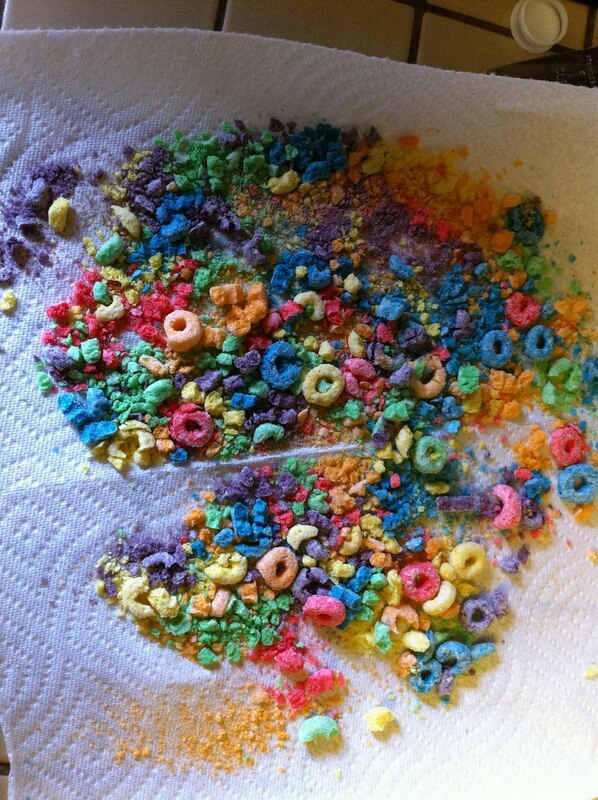 I might as well share my next dirty secret, since I spilled the beans on my froot loop love. 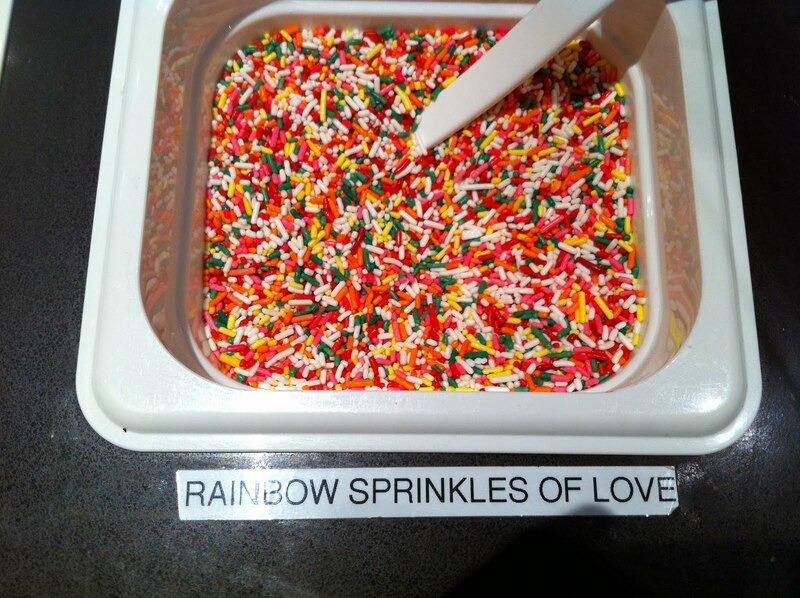 Apparently I love to ingest sugary rainbow colored food, like these sprinkles. Anyway, I thought the name was adorable, so I wanted to share it. I found it at a frozen yogurt place in Pleasanton. Yum! gum with vitamins!!! As a vegan, it's difficult to find enough b-12 vitamins in my diet. 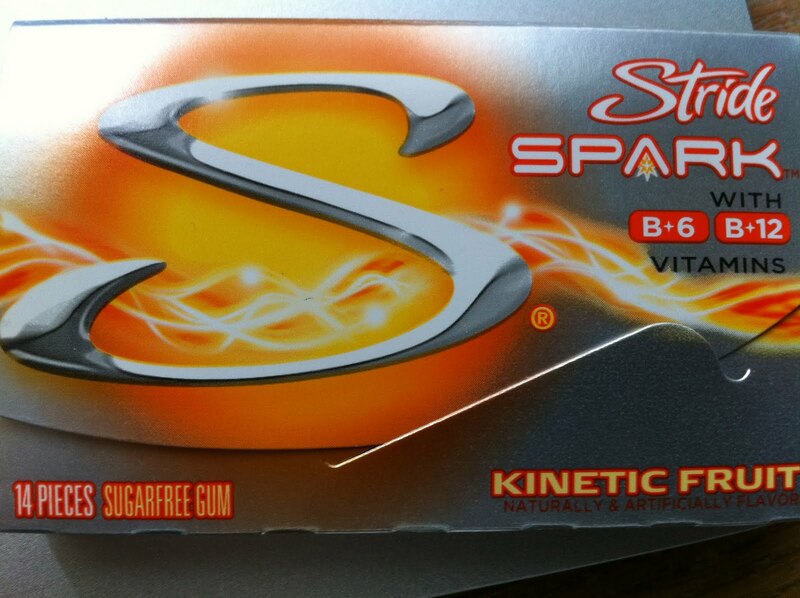 It blew my mind to see that they added these vitamins into sugarfree gum. I had to buy it of course! The wrapping is super bright yellow and orange, but you can't judge a book by it's cover. Surprise, surprise; it tastes great! Woohoo for getting extra vitamins! Each piece has 25% of your daily B-12. That's a lot! 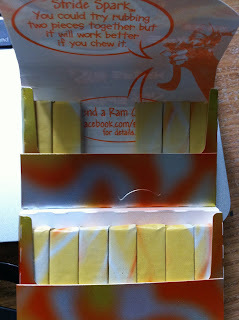 I'm excited about this, since it gives me an excuse to chew gum. Other news in my life is that I start kids camp tomorrow. I'm a little bit nervous, since it is my first week. I set up the ascending line yesterday though, so it should be fun. I'll try to get pictures next time I set it up! Also, I video-chatted with my roommate next year! All in all, I think we will get along awesomely, which is very relieving. She's super nice! That's really all thats new, I'll try to post some new recipes soon. As for now, I'm off to work soon, of course! My dirty little secret as a vegan is my undying love for froot loops... Yes, the cereal. The deliciously yummy, colorful, and sugary cereal. It's my comfort food, my celebration food, and one of my favorites. 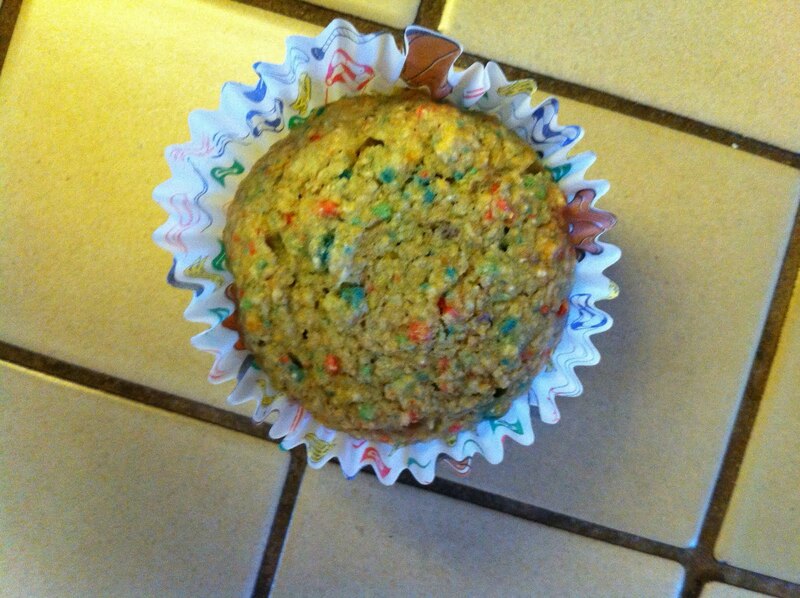 I also loved muffins, so after reading a few random recipes on the kellogs website and stumbling upon this, I knew I had to make the muffins vegan and healthier. 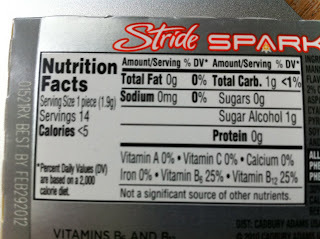 *next time, I think I'm going to omit sugar. The muffins were very sweet, for me at least. If you're used to a lot of sugar, keep it in there. **If you use sweetened almond milk (or soy, or hemp, or rice) use less sugar. Froot loops taste so good, even in muffins. Enjoy with a tall class of almond or non-dairy milk! 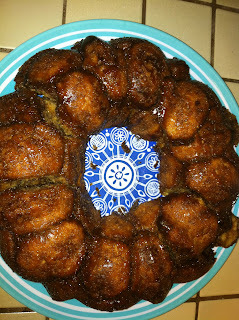 This is for sure my dessert tonight, after I put the kids to sleep. After working in Berkeley today, I went over to friend Marc's house, to ride his motorcycles. Yes, real motorcycles. I hope my parents bypass this one post, but if not; I'm still alive!! We went out riding with two of his other friends, although I was the only second passenger. We all went out on a windy road in our city, that goes on for miles. Let's just say Marc and I hit the triple digits on the straightaways. It was AWESOME! I always thought I wouldn't feel safe on a motorcycle, since you aren't strapped into anything, but you actually stay on pretty well. Woohoo! Crossed that one off my bucket list! I owe the boys cookies or something for taking me out on their bikes. I'm off to babysit soon, then tomorrow I have another double day of babysitting and Berkeley. At least I have some delicious muffins to give me energy! 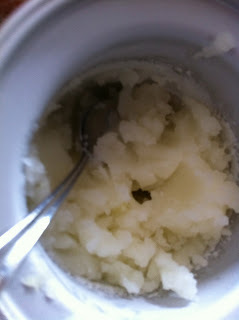 This morning with the kids, we made lime sorbet. I didn't get very good pictures, but here it is in their ice cream maker. 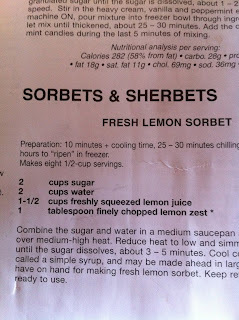 The sorbet is simple to make, just need sugar, water, and lime. I cut the sugar down by more than half, and it turned out EXTREMELY sour.. The kids both put honey on top of theirs. 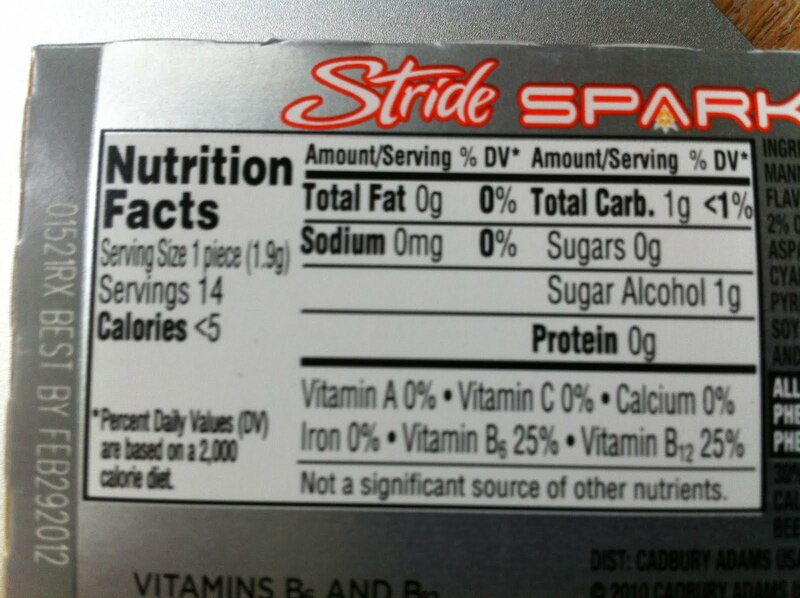 Next time I would add in truvia or stevia or something. 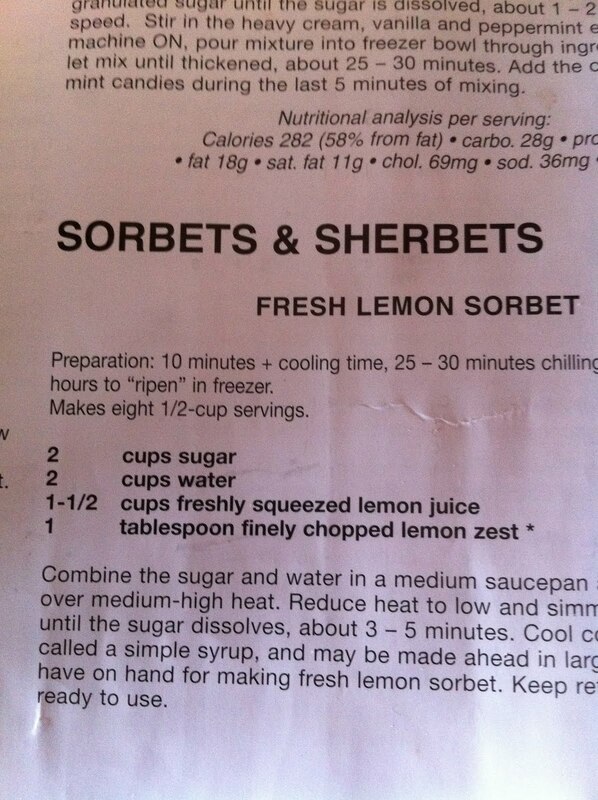 Here's the ingredients, based off the manual of the ice cream maker. Basically you boil the sugar and water, let it cool, add all the ingredients to the ice cream maker, and switch it on for 25-30 minutes. Super simple, and super delicious. Obviously we used lime instead of lemon, but this also works well with oranges. 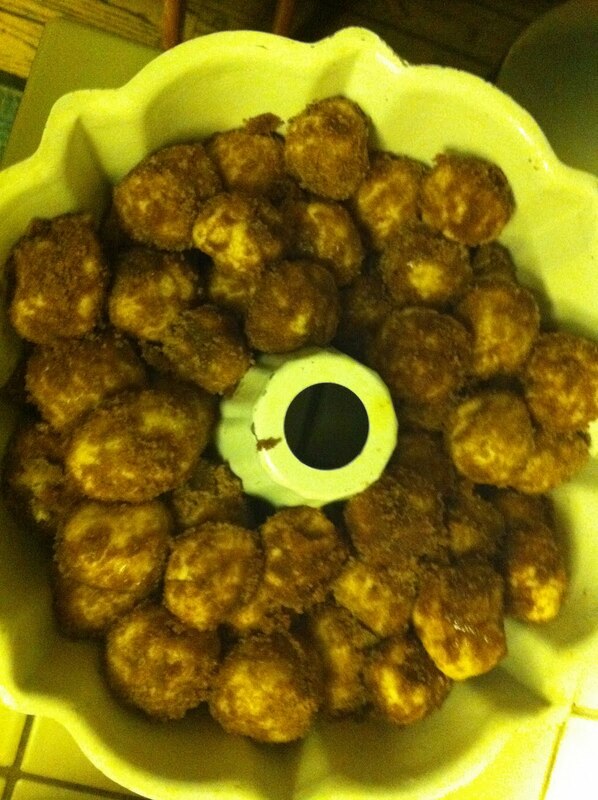 An update on the monkey bread.. my boss LOVED it! as did the rest of my co-workers that tried it. For sure a winner in my book. I'm making some again for the HP premiere on Thursday. Have a great week you all!! I awoke this morning to a long day ahead of me. The light at the end of the busy tunnel was the monkey bread I was going to bake. I started by babysitting for 6 hours. We finished watching the 6th movie of harry potter, to get ourselves ready for the premiere of the second part of the 7th next week. We also made peanut butter graham crackers. 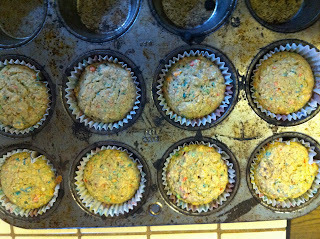 No pictures though, since we recreated them from Angela's blog. After work I ran for 35 minutes, it felt great. Running for the first time in a few days feels awesome!!! 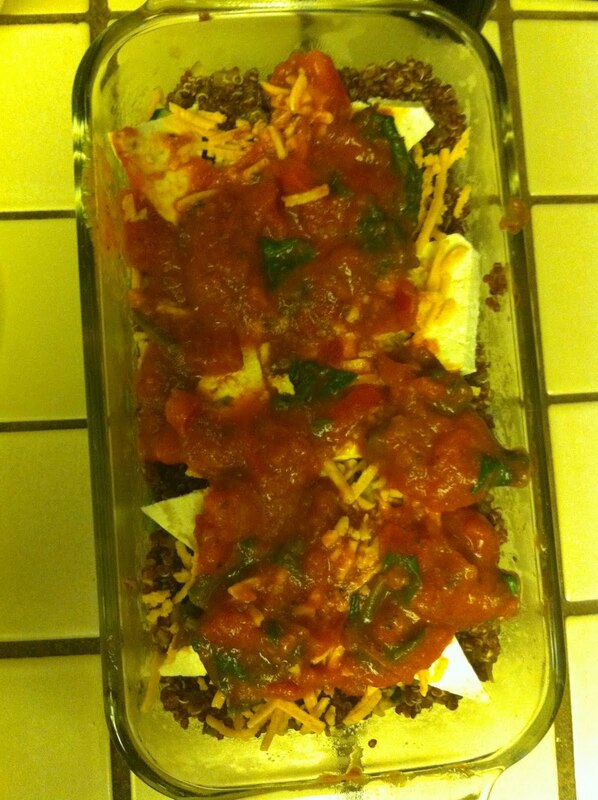 What was more awesome was coming home to this recipe. We followed that recipe exactly, except subbed whole wheat pastry flour for the gluten free flour. Here's more pictures of the ooey-gooey goodness. I actually made this partly for my boss and co-workers. My boss seems to believe that vegan desserts aren't as good because of the lack of butter. Updates on what his opinion is tomorrow!! I actually found myself thinking that I'd never had any sort of desert like this... I'm highly impressed, and very pleased. Yum! "It doesn't even taste vegan," said my neighbor/sister/life time best-friend Caitlin. Today's a double food post! Woopie! First order of business is my super protein/healthy key lime pie. My dad's been traveling a lot, so as a prize/surprise Irene and I made him key lime pie. He's coming home tomorrow, so hopefully he doesn't read this post before then. It's a test Dad! -cook for 7-12 minutes, or until golden brown and not sticky. 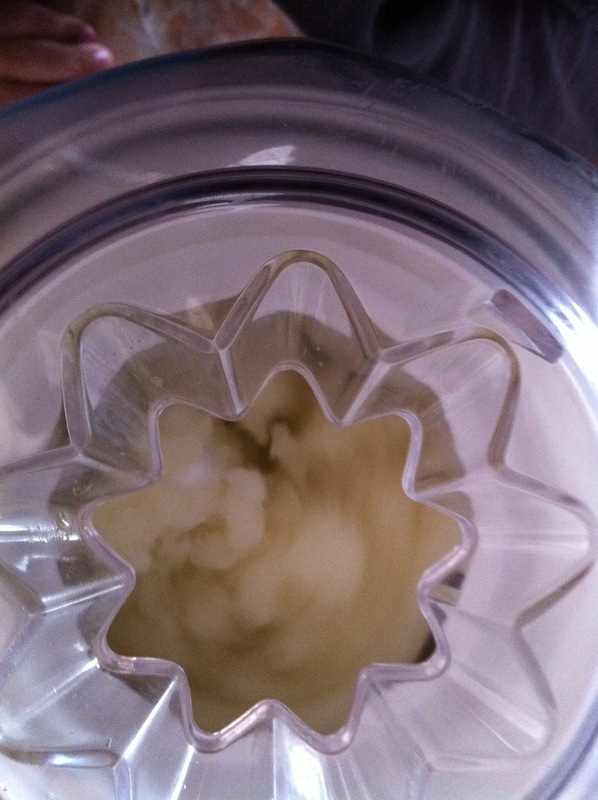 -place all ingredients in your blender and blend away! 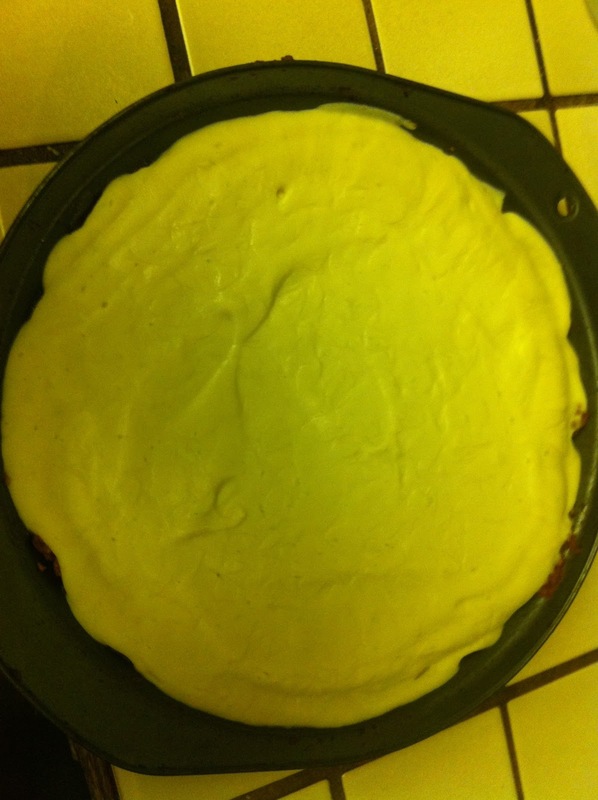 -pour filling into pie crust, and freeze until set. 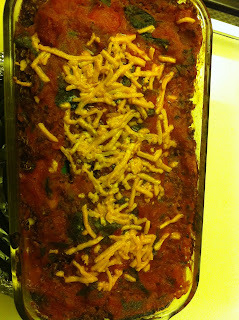 After the pie, Irene and I made quinoa zucchini lasagna, based off Mama Pea's recipe, which can be found here. We altered it a bit, but I'm not going to post the recipe, since it is hers. I'll give you a photo essay instead. 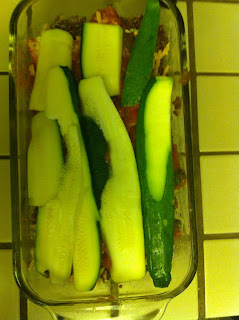 Here's the zucchini's layered to make the lasagna "noodles"
The quinoa to layer with! yum! 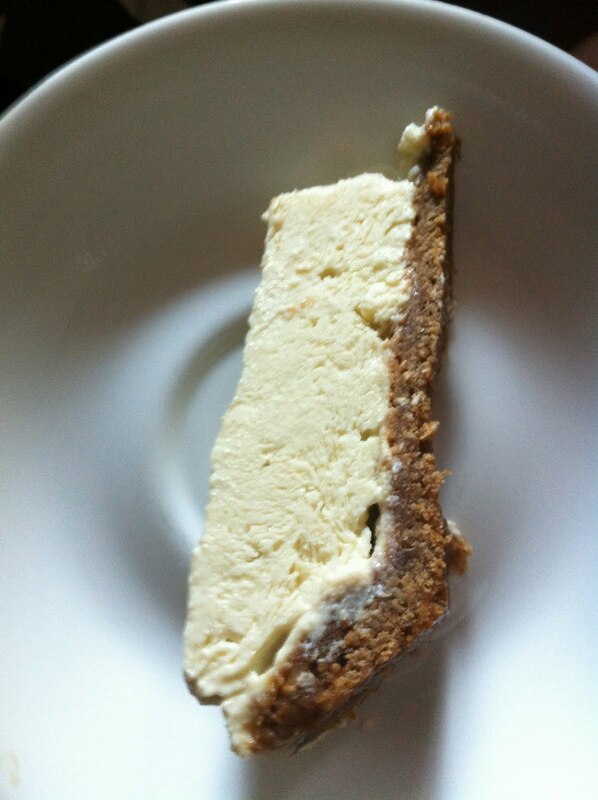 Here is one of my layers, I added tofu just because I had some lying around from my dad's key lime pie. Also there is daiya cheese spread on top. 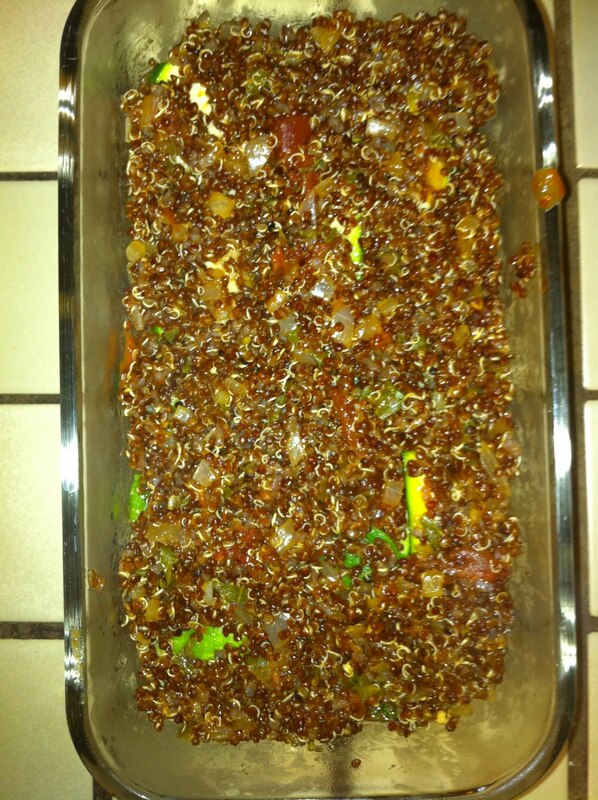 Here is a quinoa layer! 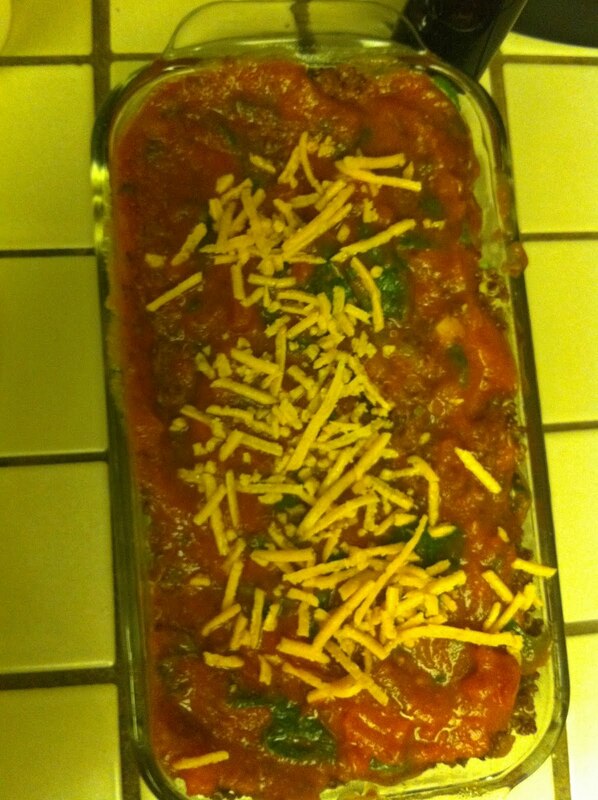 This is the marinara sauce, with spinach peeking through. Finished lasagna, before being baked. Make sure you top it with sauce and some more cheese (unless you aren't using cheese). Completely vegan and completely delicious! 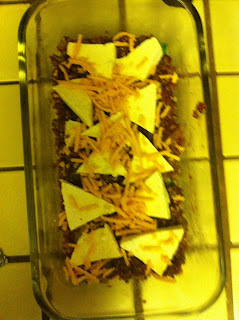 This is the side shot where you can see all the layers, with tofu, sauce, zucchini, and quinoa! And... cooked! "cheese" melted nicely, zucchini soft! Raspberry pancakes, with a tall glass of kale/berry/protein smoothie. There's the red and semi-blue! I guess the white can be the newspaper.. My fourth was very uneventful, I hung out with Irene since she's still pretty immobile from her knee surgery. Today before babysitting I stopped at whole foods for the first time in months (thank you Berkeley Bowl), where I picked up some vegan cheese. After coaching and climbing (more on that later) I came home to make stir fry, and vegan grilled cheese! The stir fry is just mushrooms, cubed tofu, and spinach mixed with some of Trader Joe's soyaki sauce. Delicious! The grilled cheese is on a whole wheat bagel, and has tofurkey inside as well. The daiya cheese melted really nicely, although it was very flat and had no volume. Regardless it was devoured pretty fast. Alright, for some non-gluttony news, I [finally] got my lead card, or got lead "certified". That means that I'm allowed to lead climb and lead belay in the gym. Lead climbing is a lot more dangerous than the "normal" top-roping that most people do in gyms. Lead climbing is also used outside, since you set up your own ropes. I got a beautiful purple card that says I'm allowed to lead in the gym. Woopie! I've been climbing hard for sure. The recovery section of this post is saying that Irene's doing very well. We've been sharing super healthy food together, so that she can fuel her body in the correct way. I'm planning on making key lime pie for my dad, peanut graham crackers with the kids I babysit, and monkey bread for my vegan-cautious boss. Stay tuned! Hello all, my name's Sarah. I'm a 19 year old vegan embarking on the journey of college. I've been vegan since my freshman year of high school, and am constantly looking for better food to eat to fuel my climbing and running. I run, am recovering from a left shoulder surgery, and have recently taken up biking. I also joined my schools triathlon team, so I'm learning how to swim... slowly. My life is constantly on the move, but I love it that way. Regardless of time constraints, I still find time to cook delicious vegan food, of course.